E-toll discount extended: Are you more likely to pay-up? Cape Town - The Minister of Transport, Dipuo Peters, has granted an additional 10 working days extension for road users to "take advantage" of a 60% e-toll discount in May 2016. The discount period will end on May 17. The Transport Department said earlier in May 2016: "There was a last minute rush leading up to the 2nd May - the date on which the 60% discount expired - leaving thousands of road users outside the window period. "Figures from Sanral indicates that there were 37 000 logged enquiries on the 60% discount offer, which could not be attended to during the last days. Taking into account that the deadline fell within a long weekend during which normal business activities were restricted and that the last minute demand exceeded available processing capacity, Minister Peters decided to extend the deadline. "The Minister encourage all those who could not take up the 60% discount to do so in the next few days. Road users are urged to log their intent to pay, by e-mail; sms "call back" to 43360, or visit www.less60.co.za and log an enquiry." We asked readers "given a 60% discount, are you more likely to pay your outstanding e-toll debt?" and our homepage poll garnered more than 38 000 responses. Unsurprisingly, the majority of readers (24 075) said that despite Sanral's discount, they would 'never pay' outstanding e-toll debt. Only 2066 respondents said they were likely pay given a 60% discount. Hilton Carroll: As a retired person I have made little use of toll roads and have paid all invoices received at the discounted rate. Most invoices are received well after the expiry of the discounted amounts, due to postal delays and/or late mailing. So now Sanral has given me a "discount" on amounts due entirely to their inefficiency. No way will I pay even though the amount is relatively low! Tim Donkin: I am not a frequent user of freeways with e-tolls gantries. One gantry twice a week? 1. I have not received invoices for many months. In fact, I don't think I received invoices for more than a year. Maybe that was the fault of the Post Office? 2. To force me to pay, Sanral would have to prove that their invoices are 100% correct. Difficult. And costly for them. 3. What about people who have faithfully paid their e-toll fees on time, but with no discount? Surely they should not be penalised for doing Sanral's bidding. 4. Why do Sanral not admit that their system does not work properly, cannot work in RSA, and scrap e-tolls? They could easily recoup the money by adding a small amount to the price of fuel at all pumps in Gauteng (or in the Pretoria-Johannesburg area). Virtually no additional cost. Certainly, cost would be far lower than current collection costs. No money paid to organisations outside the country. Ring fencing this amount should not be a problem. We would all shrug our shoulders and accept the small increase, and the roads now tolled would be paid for. Hey, ANC, how about introducing this plan as "a brand new idea" in time to garner more votes in the municipal elections? Jamie Ross: I still will not pay even with the 60% fee as they are unable to provide me with any clear photos of my number plate or explain why they claim I went through tollgates despite proving I was nowhere near the highways. The entire scheme is a farce and nothing more than a gravy train slush fund to be used by the elite of our corrupt government. Patrick Linzer: The answer is a resounding and unequivocal "No!". The same is true for most of my immediate and extended family. The reason? 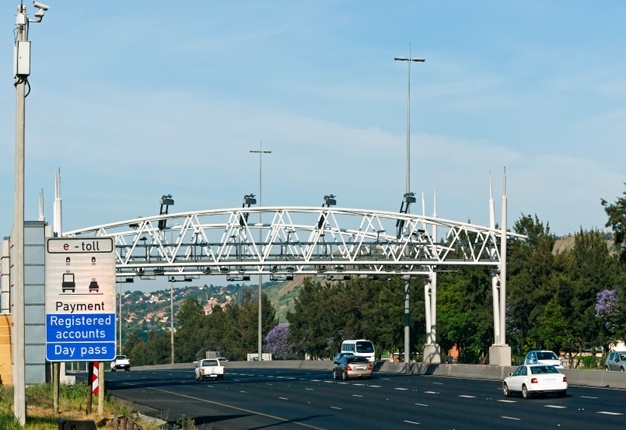 Simple: SANRAL & DoT are pigheadedly intent on hanging this hugely inefficient millstone around the public's neck, probably at the behest of a small clique of connected cadres within the ANC (Avaricious Narcissistic Cabal), despite widespread public rejection thereof. Given the ongoing--and indeed growing--maladministration and overt corruption for which Joe and Jane Public are expected to cough up, as well as the total absence of any halfway credible measures to curb these failures, we are resolute in resisting being forced to add more gravy to the train that carries only a thieving mob of passengers. In the highly unlikely event that some tangible progress is made in staunching the haemorrhage of misplaced public funds and in excising the gangrenous sections that fester within public administration, then SANRAL, DoT & the state will find us hugely more amenable. In short: We will never willingly fund corruption, incompetence, nepotism, idleness or inefficiency. Paul Harmse: I Will not pay. I see Sanral as a money pit providing very limited service delivery at an extreme cost, influenced by corrupt actions and entities. The e-toll campaign was forced down the public's thoughts with more cost effective and efficient models available for funding. The ignorance of Sanral and government will lead to its own downfall. Hendril Roelofse: I would love to pay my outstandings but for the last six months I cannot get Sanral to send me a correct bill and payment instructions. They phoned me several times and then I request the bills. But sometimes receive bills that I have already paid. Ish...what must I do...Their accounting system is not performing...ish. I visit their outlet in Cresta but they say they do not have access to print me the outstanding bills...What now? Brother Tweba: There's something absolutely wrong about e-tolls. Who really benefits from the proceeds? Andre Gouws: Until we know who is benefiting from the e-toll deal, I'm not paying. In addition, we need to be convinced that e-toll is a better collection system than the fuel levy. Great highways and obviously it has to be paid for, but do it right and don't underestimate our intelligence. Chances of this being sorted is zero. So, standoff it will be. I'm not paying. If push comes to shove I would emigrate, or semigrate to Cape Town. That's how strong I feel about it. Iketsi Maida: I am not going to pay even if they can offer a 99% discount. Natashia Du Plessis: I have logged 3 queries on my account with over charges which has not been attended to. This was done in the period for the discount, so do i insist on the discount when they eventually get their ducks in a row? Bulelani: I wish all Gauteng road users can unite against this crime being committed by Sanral and paralyze this whole wicked system. I wish we could all stand together as Clyde Beukes puts it "I don't support crime, (in any form) I will never pay ". This is not any different than Nkandla and many other evils that this government is responsible for. At the end of the day, a few people will benefit at the expense of law abiding Gauteng citizens. I hope this helps our democracy to mature even quicker and look at this not through black or white eyes but for the evil that it is. Nalin Patel: It is very considerate of the minister for the extension because of the holiday period. However they introduced the e-toll in December when most were out of town and missed deadline to object to the e-toll. Seems like they have forgotten this fact. Pete Cable: Since the implementation of e-tolls, we have bought tags and keep our account updated/pre-paid. We really enjoy and appreciate the upgrade of Tag booths at gantries on N1, N17 as it is so convenient and at a reduced rate. We try to obey the law and e-tolls are the law so it's the right thing to do. We have no sympathy or respect for Duvenhage's blatant disregard for the law and no respect for his arguments. Anyone who does not pay eTolls should not drive on the eToll roads. Gary Bloom: I'm still not willing to pay as the system is deeply flawed. How can the collection system be so expensive? A simpler system could of been locally provided and the funds pushed back into the country. Not in the pockets of a foreign business. Soulla Kaptanis: No. Because they are saying I owe over R60 000. If it's capped to R500 per month - that's not possible. Graham Patterson: Proudly South African. I say no to corruption, no to crime and no to e-toll. Sue Malcomess: Why do South Africans not want to pay for what they get? Come on pay the e-tolls. The roads are fantastic and honestly it is a small portion of the total cost of car travel. I have always paid and have enjoyed the seamless process. The non compliance will have ramifications for the whole country as should roads be built they will cost more because Sanral's creditworthiness has been tanked. Fraser Gilchrist: I will never pay a cent towards etolls. I don't care if they drop it to a cent per kilometre. I am a sales rep and use the highways everyday. Don't I already pay enough in tax and petrol? How much more do they want from us? Warrick Dodge: I hope that Sanral does not stop sending me accounts. What else will I use to start the braai fire? Katya Coetzee: Yes, I have taken them up on the offer and have gotten an e-tag.These are great roads, they are able to help you when your car has a problem because the road is monitored, and more. Since getting my e-tag (and I use the road all the way from Joburg to the other side of Pretoria (and back) every Monday) I only pay like R15 a month. John Tarbaton: I pay e-tolls and I am outraged about non payers. I say charge the b**tards and if they don't pay, jail them. Marlon Govender: Yes. I will take advantage of the extension as I genuinely missed the deadline and I will save R7000 with the 60% discount.